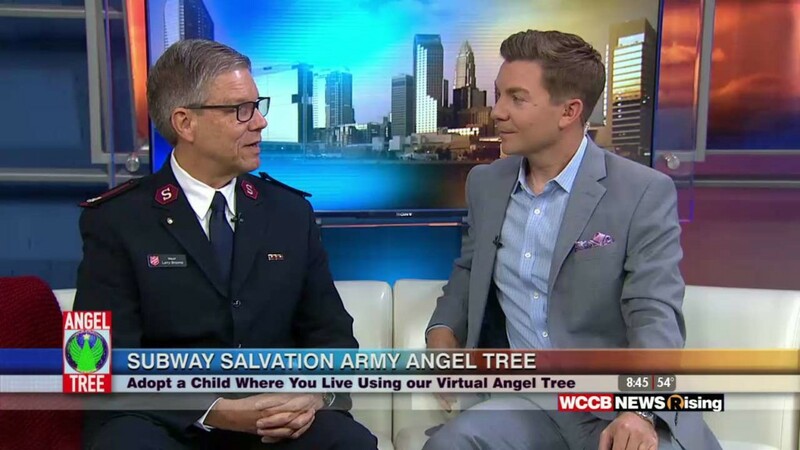 WCCB Charlotte's CW and The Salvation Army operate the Angel Tree program to provide Christmas assistance to those in need in our community. Families register children age 14 and under to receive new Christmas gifts for the holidays. Once registered, each child's information is placed on an angel to be adopted. Individuals, families, groups, and companies are given the opportunity to adopt angels and purchase Christmas gifts for these children. All gifts are then returned, sorted and distributed to the families prior to Christmas Day. Through the involvement of the community, many lives are touched and much joy is spread through the Angel Tree program. Click on your county to adopt a local child. Register as an Angel Tree donor. Browse the list of children who are registered in your county and select who would like to help. Submit your selection and a confirmation screen will appear for you to print. When you are ready, take your gifts and the print out to an Angel Tree location near you. Please call us about volunteering, registration, locations, information or any other questions you may have. 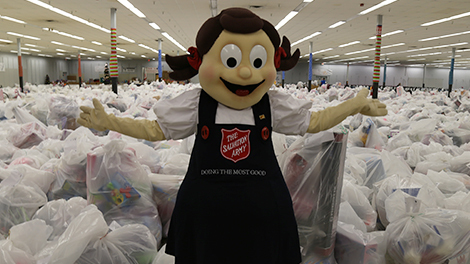 Wilson was at the Salvation Army Angel Tree distribution center this morning where the room was filled from wall to wall with more gifts for area children than ever before. Thousands of children in need will have a Christmas this year- thanks to the help of The Salvation Army and generous people in the community. Wilson Spends 27 Hours At SouthPark Park Mall! 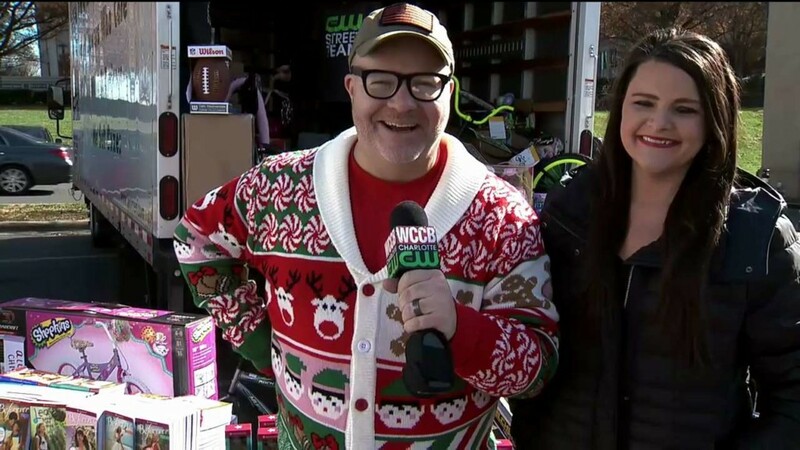 Local businesses, musicians, sports and friends from WCCB all came down to SouthPark Mall on December 6th and 7th to help Wilson Stuff The Truck for The Salvation Army Angel Tree! Thank you to everyone that stopped by! 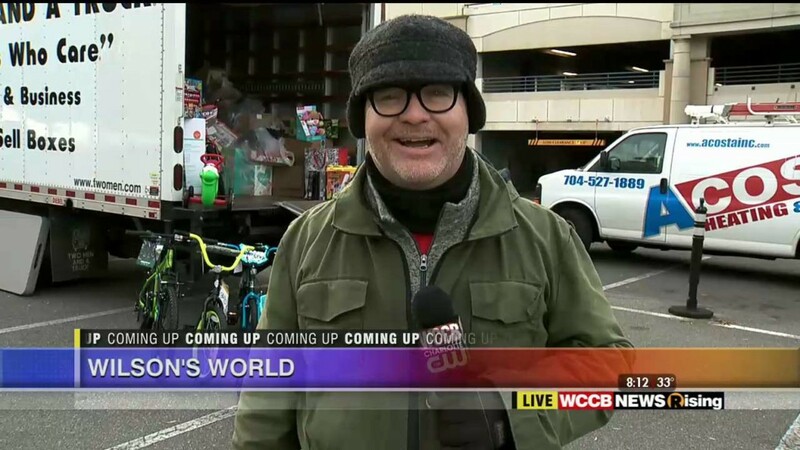 Join WCCB News Rising's Jon Wilson Thursday, December 6th and Friday, December 7th as he works to stuff a moving truck full of toys for needy children! Wilson is at SouthPark Mall with the Salvation Army and Two Men and a Truck kicking off day 1 of the Subway Salvation Army Angel Tree Stuff the Truck event and showing off his newest tacky Christmas sweater! 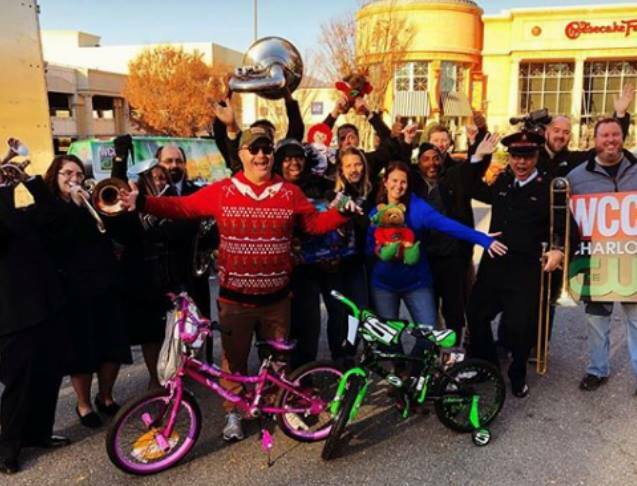 A M King was definitely in the holiday spirit on Monday as their employees came together to load hundreds of dollars of toys onto the Salvation Army truck headed back for the Salvation Army Angel Tree. 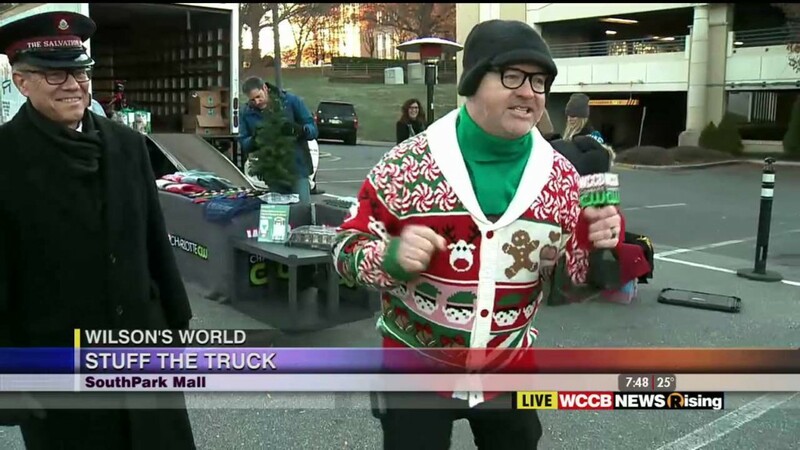 Wilson was at SouthPark Mall where he was kicking off the 2018 Salvation Army Angel Tree, the WCCB Charlotte/ Subway-Salvation Army Virtual Angel Tree and Wilson's 2018 Stuff the Truck event. It's the first day to adopt a child from the Subway Salvation Army Angel Tree and Major Larry stopped by to talk how you can help make the wishes of kids come true for 2018's holiday season. Results from the 2017 Subway Salvation Army Angel Tree project were released Thursday, and it was a HUGE success!